Bread is one of the most consumed products in the world and the most studied among the gluten-free foods. Agroindustry co-products are rich sources of functional ingredients, and their chemical composition suggests great potential as a raw material for the food industry. 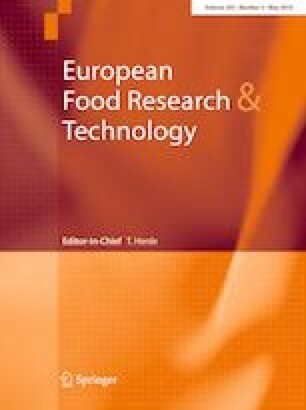 The objective of this study was to evaluate the effect of the addition of 10–30% of okara flour (OF), and 15–45% of corn bran (CB) on the physical and chemical characteristics, sensory profile and consumer preference of gluten-free breads. The addition of higher concentrations of OF resulted in products with decreased technological properties (lower specific volumes, lower slice height, higher firmness, darkening and discoloration of the yellow color). The addition of CB contributed to the maintenance of the yellow color in the crust and crumb and to the increase in the corn flavor intensity. The formulation with 20% OF and 40% CB would be the most interesting, because of the chemical composition (30 µmol of isoflavones aglycones/g of sample and 12.87 g of dietary fiber/100 g of sample and lower content of carbohydrates and caloric value) and similar consumer preference to the other formulations. This formulation had lower discoloration of the yellow color and showed sensory properties suited to consumer preference, such as firmness, porosity, compaction (appearance), corn flavor and moisture (texture). The okara flour and corn bran, soy and corn co-products, respectively, can be used as ingredients in the preparation of gluten-free breads with adequate physical, chemical, technological and sensorial characteristics. This study was funded by FAPEG (Process 4545253/2016-3) and CNPq (Process 469104/2014-7). This study was financed in part by the Coordenação de Aperfeiçoamento de Pessoal de Nível Superior–Brasil (CAPES)–Finance Code 001. This article does studies carried out with human participants that was approved by the Research Ethics Committee of the Goiano Federal Institute (CAE: 65962617.2.0000.0036).